Enjoy the natural beauty of the fabrics in the Roman Blinds collection. These custom-made window coverings are available in a vast range of fabrics & colours. You’re sure to find a look that suits your interior perfectly. Sometimes, the absence of light is important to the overall design or function of a room. Bedrooms used during the day, or specialised media rooms require the ability to completely eliminate all outside light. 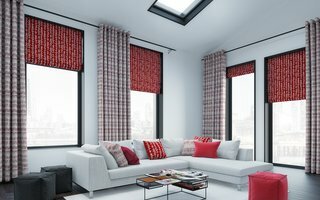 Luxaflex® Roman Shades can also be supplied with blackout lining. Our vast collection of fabrics ranges from subtle textures and plains to statement patterns and bold colours, as well as a comprehensive range of beautiful basics. There is bound to be a fabric to suit your taste in the Roman Blinds Home Collection. Make a bold contrasting statement or simply compliment your Roman Blinds with a custom-made -cushion. Our vast collection of fabrics ranges from subtle textures and plains to statement patterns and bold colours, as well as a comprehensive range of beautiful basics. 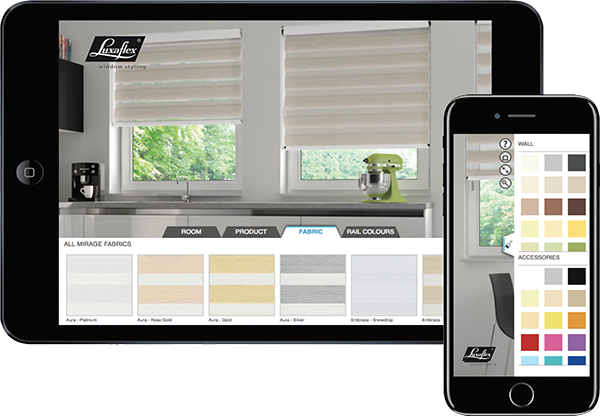 And if you want to see your full palette of options, your local Luxaflex® showroom will be delighted to take you through everything.